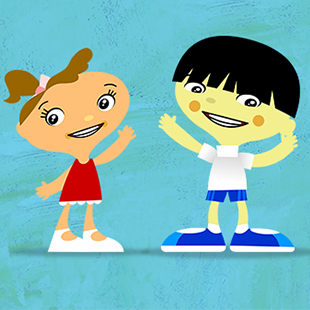 Lee and Lucy are lively friends who love to play the game of dress-up with young viewers. The friends are always traveling to new and exciting adventures, but need help choosing the perfect outfit before they go. In each episode, one of them explains where they are going and presents two outfit options. Through trial and error, young viewers are engaged in the game and help Lee and Lucy pick their correct outfit, so they are dressed and ready to go! See what time Ready Dress Go! is playing!